I wish I were a picky eater, because if I were pickier I’d probably be a bit slimmer, but I like food a lot. Thankfully, Colorado’s food scene is fantastic right now. No matter where we go, we find good, often farm fresh, food to eat. It’s a fabulous time to be a foodie in Colorado. Photo courtesy of Meat & Cheese. In my work as a freelance writer and Mayor of HeidiTown, I get the opportunity to dine out a lot. Here are a few standout restaurants from the last six months; some are brand new to me and others are old favorites we hadn’t visited in awhile. Warm and inviting, Allegria is an Italian restaurant with a farm fresh twist. They make much of their fare in-house and they source much of their meat and produce locally. If you’re lucky, you may even get locally foraged mushrooms in your meal. What to order: Bone marrow with octopus appetizer. Just do it. I’ve already instructed you to eat all the things when you visit Aspen, and I was totally serious, but no foodie excursion to Aspen can be complete without a visit to Meat & Cheese. I daydream about this restaurant on a fairly regular basis. It has a contemporary feel and yet the food is down-home good. 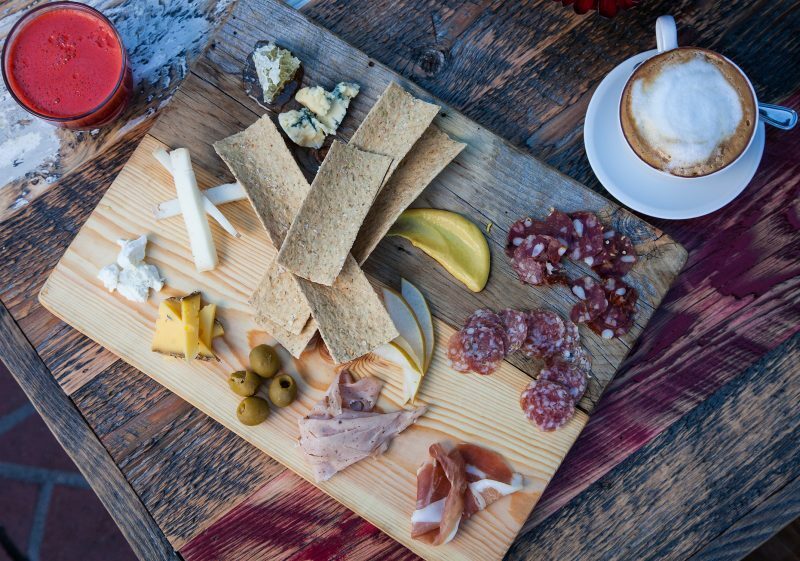 What to order: The Meat & Cheese Board, of course. 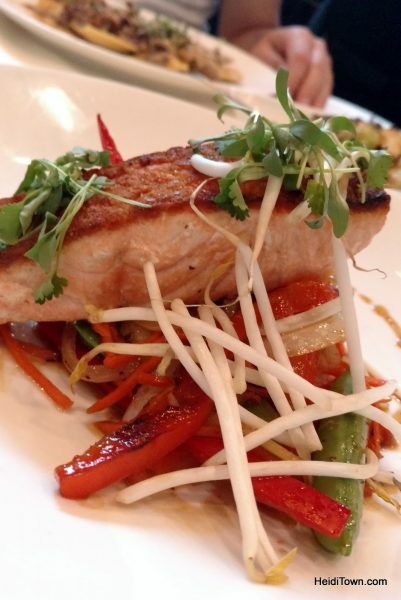 For a meal that you’ll be telling your friends about, eat at Tag in downtown Denver. If you love food as much as I do, ask to sit at the kitchen bar so that you can watch all the action. This place serves up Asian food with a Colorado-inspired flair. We tasted a good portion of the menu and every item was write-home-about and tell-a-friend-about good. 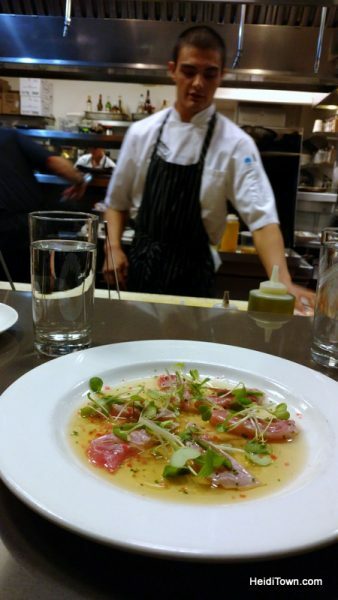 What to order: Flash Seared Hamachi… because… pop rocks! If you follow me on social media, you may already know that I’m a little snobby about my hamburgers. I like a medium or medium rare burger, otherwise, the meal is a disappointment. 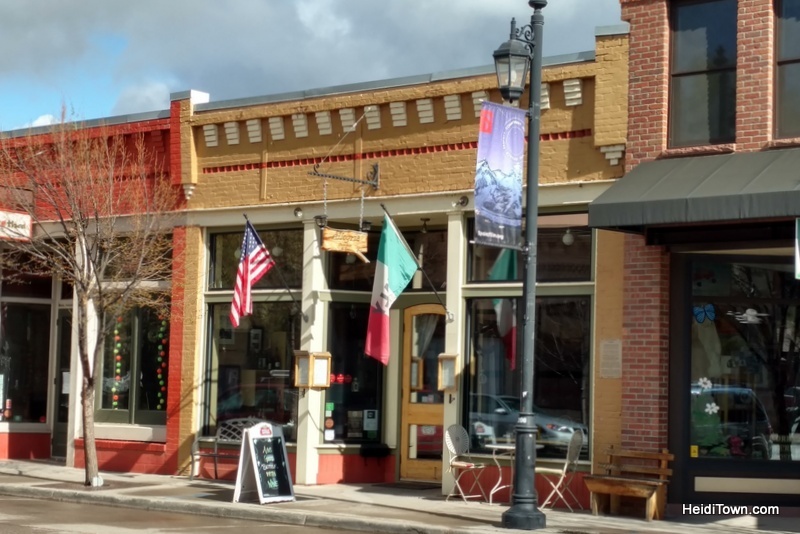 A trusty location for an amazing burger every time is Riff Raff Brewing in Pagosa, but I discovered two more delicious hamburgers just recently in rather unexpected places. Fireside Bar & Grill’s Bison Burger. 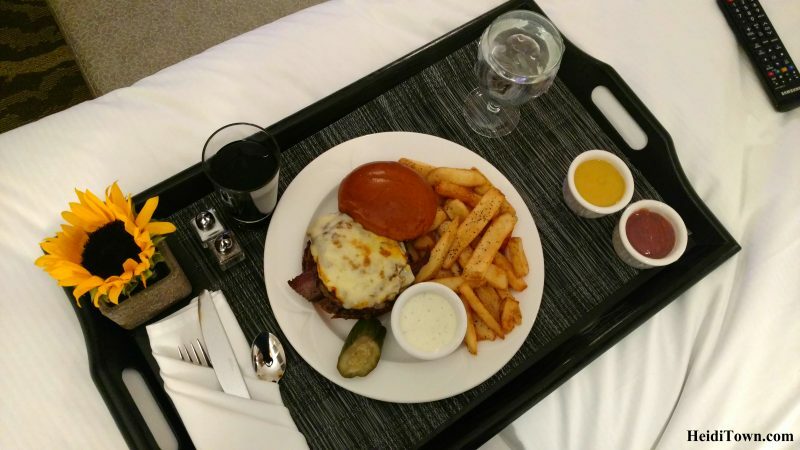 First, the Fireside Bar & Grill at the Hilton Inverness in DTC serves up an amazing, melt-in-your-mouth bison burger that’s topped with brisket, and they cooked it perfectly. Another place that came through with a perfectly cooked, memorable hamburger was Fireside Kitchen at Ameristar in Blackhawk. We discovered this restaurant in 2013 and we recently returned to discover that it’s just as good as always. This place has been sourcing their food locally since before it was trendy and even have a list of farms they work with on their website. What to order: Scallops. They are divine. TIP: Visit before the end of June and get 50% off all entrees (it’s a “mud season” special). We returned to The Black Steer, after a multiple year hiatus, while I was working on a do-it-yourself food tour for Visit Loveland. We split the pepper steak and it was so good we went back a few weeks later and order the exact same meal. The Black Steer is a Loveland tradition and for good reason. 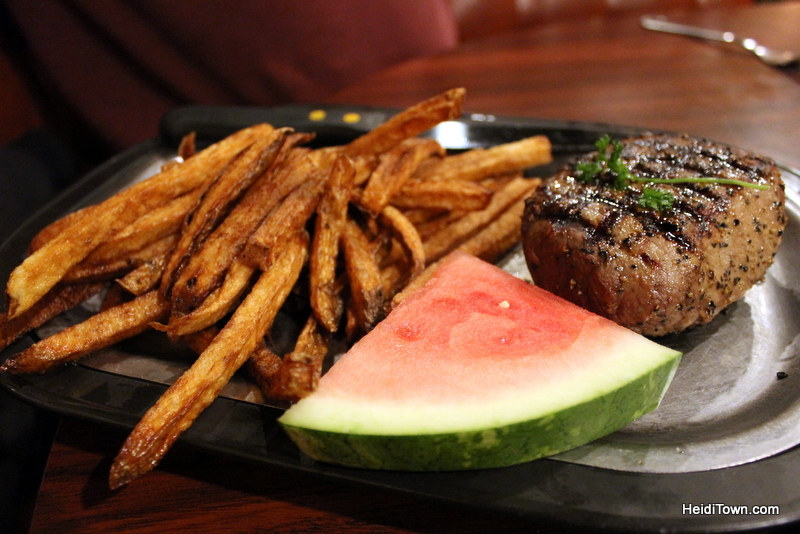 What to order: Steak, because when one is at a steakhouse one orders steak. TIP: The Black Steer doesn’t charge a split plate fee so this is a great place to share a meal. We’ve been dining at Max’s Gill and Grill since we moved to Colorado 2000 (it used to be called Hemmingway’s). We popped in last week after a long absence. 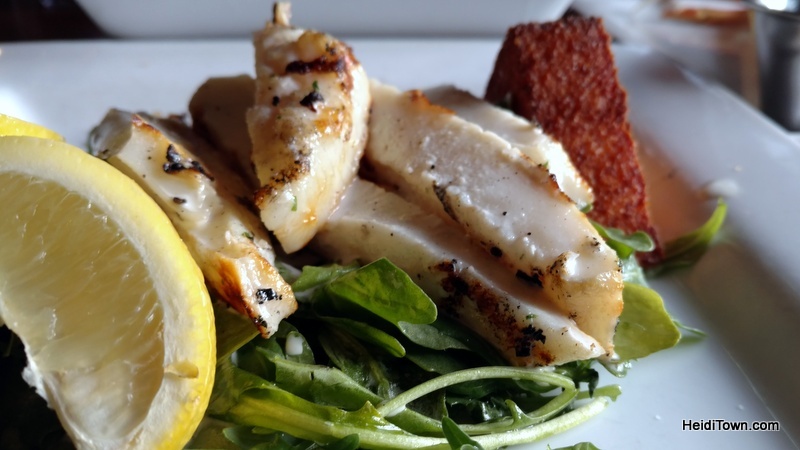 What to order: Grilled calamari with crispy polenta cakes & arugula. If you’ve visited a memorable Colorado restaurant lately, tell me about it on the comments. 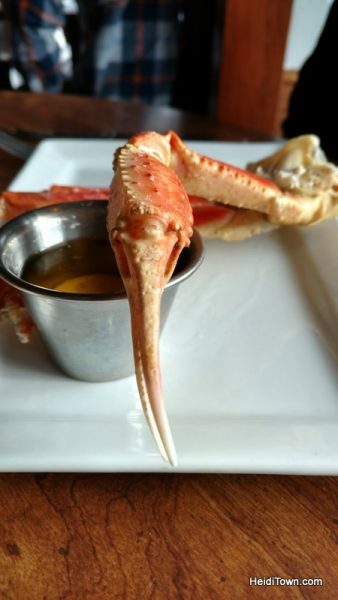 I’m always on the hunt for a great new place to try and if it’s seafood, even better. As I read over this post, I realize that I consume quite a lot of seafood. Full Disclosure: Due to my work as a freelance writer and travel blogger I occasionally receive a comped meal, although frequently I do not. Regardless of whether the above meal was a comp or not, all insights are truthful, genuine and entirely my own. Been to a few of these and the others will have to be added to the to do list! I miss eating at the Black Steer. Great food and I actually like the 70s style decor–reminds me of places I ate as a kid!